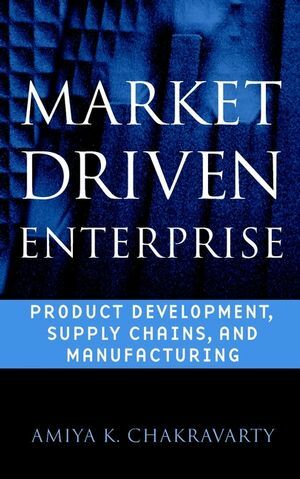 Unique coverage of manufacturing management techniques--complete with cases and real-world examples. 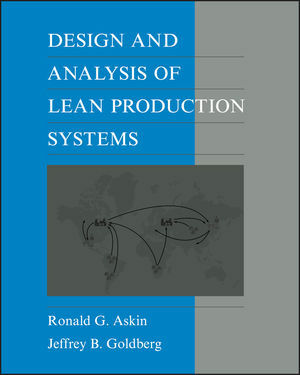 With real-life case studies of successful European and American approaches to lean manufacturing, this reference is ideal for engineers, managers, and researchers in manufacturing and production facilities as well as students. 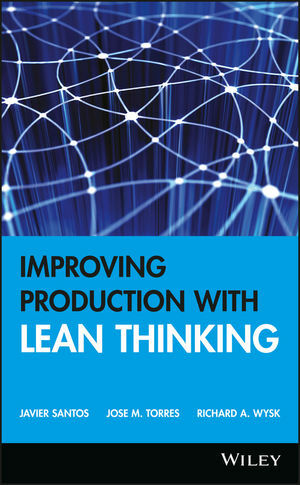 It bridges the gap between production/manufacturing and supply chain techniques and provides a detailed roadmap to improved factory performance. JAVIER SANTOS and JOSE M. TORRES are professors in the Department of Engineering at the University of Navarra Technological Campus in San Sebastian, Spain. RICHARD A. WYSK, PHD is the Leonhard Chair in Engineering in the Department of Industrial and Manufacturing Engineering at Pennsylvania State University. He is the coauthor of the best selling college textbook Computer-Aided Manufacturing. Chapter 1. Continuous improvement tools. 20 Keys to workplace improvement. Measuring and prioritizing the improvements. Chapter 2. Material flow and facilities layout. Signs and reasons for a need to change the layout. Main types of industrial companies. Characteristic of the traditional layouts. Step 1. Formulate the problem. Step 2. Analysis of the problem. Step 3. Search for alternatives. Step 4. Choose the right solution. Step 5. Specification of the solution. Chapter 3. Material flow and design of cellular layouts. Chapter 4. Equipment Efficiency: Quality and Poka-Yoke. Inspection and SQC (Statistical Quality Control). From SQC to Zero defects. Chapter 5. Equipment Efficiency: Performance and Motion study. Chapter 6. Equipment Efficiency: Availability, performance and maintenance. TPM - Total Productive Maintenance. RCM - Reliability Centered Maintenance. Chapter 7. Equipment Efficiency: Availability, quality and SMED. Basic steps in a set-up process. Traditional strategies to improve the set-up process. Stage 1. Separating internal and external set-up. Stage 2. Converting internal set-up to external set-up. Stage 3. Streamlining all aspects of the set-up process. Chapter 8. Environment Improvements and The 5S. Common steps in the five pillars. Second pillar: Set in order. Implementation of the 5S in offices. Chapter 9. Other improvement keys. Empowering workers to make improvements. Efficient materials use related keys. Leading technology and site technology.